For Your Queue: Two that are…”Hemsworth” a look! 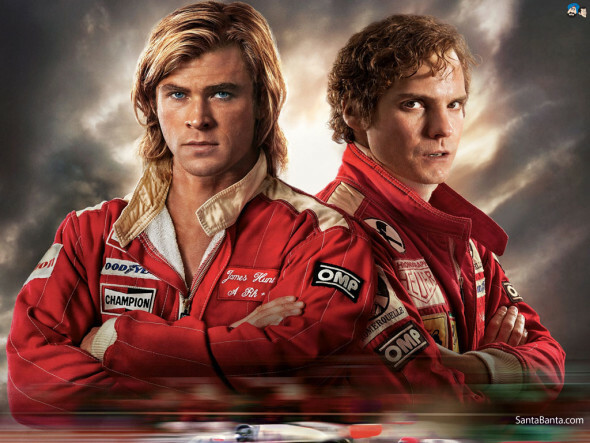 The needlessly underseen Rush – one of director Ron Howard’s very best films – gets a second chance at an audience today as it’s released to DVD and BluRay. So do yourself a favor and see it. Character driven without sacrificing sport spectacle, the film proves an engrossing drama and boasts an award-worthy performance by Daniel Bruhl. Plus you get to look at Chris Hemsworth, which is never a bad thing. Speaking of non-Thor Hemsworth, we’d recommend pairing this with a fun and surprisingly well written if little seen 2009 thriller A Perfect Getaway. The film follows Steve Zahn and Milla Jovovich on their Hawaiian honeymoon, where tourists are being murdered. It’s a slick, well-paced and fun flick with great turns from Zahn, Hemsworth, and the always reliable Timothy Olyphant.